Stephen was born at 7 Redmond’s Hill, between Camden Street and Aungier Street, Dublin, on 28 December 1867, and baptised soon after in Saint Andrew’s Church, Westland Row (sponsors: Thomas Roche, Margaret Dowdall). Stephen was the fourth son and fifth and youngest child of James Comerford (ca 1817-1902) [See Comerford Profiles 18, James Comerford], an arts-and-crafts stuccodore and architect from Bunclody, Co Wexford, whose works included the design of the Irish House on the corner of Wood Quay and Winetavern Street, and the Oarsman in Ringsend. In 1884, at the age of 16, Stephen was apprenticed to his father “to learn his Art” for seven years, and they soon became involved in turning the plasterers’ guild into a trade union. Trade union records, census returns, street directories and family records made it possible to track the houses where Stephen had lived, including 11 Upper Beechwood Avenue, Ranelagh, where his father, James Comerford, died in 1902 at 85. A year later, in 1903, Stephen’s young wife, Anne (née Cullen) died in the same house at the age of 32. However, the gap in Stephen’s life between 1915 and early 1918 remained. His early death, and the family silence surrounding those years and that death, left with no clues about that crucial gap, including 1916. Then, in an idle moment during an internet search for the war-time records of another family member, I keyed in my grandfather’s name. The missing story unfolded. Stephen Edward Comerford (1867-1921), the youngest son of James Comerford (ca 1816/1817-1902), was born at 7 Redmond’s Hill, Dublin, on 28 December 1867, and baptised a few days later in Saint Andrew’s Church, Westland Row (sponsors: Thomas Roche and Margaret Dowdall). At the age of 16, Stephen Comerford was apprenticed to his father, James Comerford, Operative Plasterer of the City of Dublin, “to learn his Art” from 1 June 1884 for seven years, according to an indenture dated 23 June 1888, signed by James Comerford and Stephen Comerford and witnessed by John Hartigan and Isaac Hill. 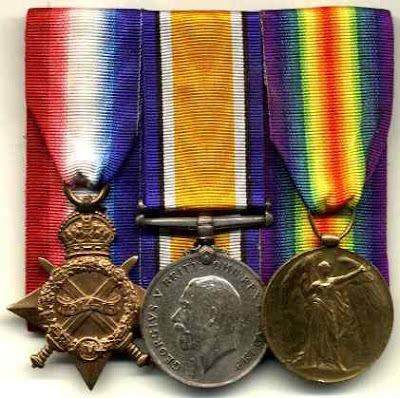 Stephen Comerford joined the Royal Dublin Fusiliers – “the Toffs and the Toughs”– on 14 July 1915. Within days, as a private in the Royal Dublin Fusiliers, he was sent to the Greek island of Lemnos and on to Gallipoli and Suvla Bay. He was among the few survivors evacuated to Thessaloniki. 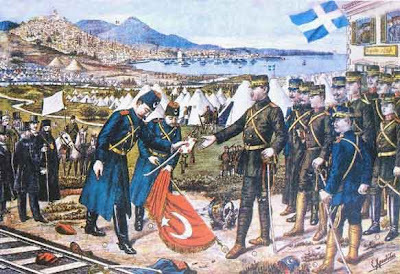 In the severe Greek winter, many of them suffered frostbite, dysentery and other sicknesses. Stephen Comerford was first married in Saint Andrew’s Church, Westland Row, Dublin, on 29 November 1899, to Anne Cullen (1871-1903), of 11 Merrion Square, Dublin (the home of Sir Edward Hudson Hudson-Kinahan), daughter of Thomas Cullen, of Clanbrassil Street, salesman. 1, Edmond Joseph Comerford (1900-1905). He was born at 11 Upper Beechwood Avenue, Ranelagh, Dublin on 30 October 1900, and was baptised a few days later in Saint Andrew’s Church, Westland Row (sponsors: Michael Heffernan and Elizabeth Carey). He died on 24 August 1905 in Clonskeagh Hospital, Dublin, and is buried in Glasnevin Cemetery, Dublin, with his mother Anne (Cullen) Comerford, who had died in 1903, and his grandfather Thomas Cullen, who died in 1871. Neither Edmond's name, nor that of his mother are included on the headstone. 2, Mary (May) Josephine (1902-1973). She was born in 1902 at 11 Upper Beechwood Avenue, Ranelagh, and was baptised in Saint Andrew’s Church, Westland Row. 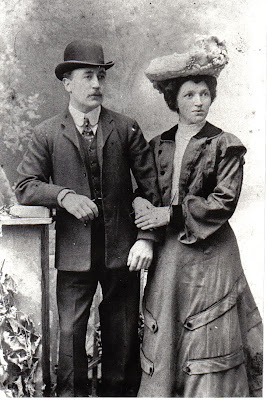 She married John Leonard (Sean O Lionnain) (1876-1959), of Convabeg, Ballyhooley, Mallow, Co Cork. He was born John Leonard in 1876, son of Michael Leonard and Mary Anne McCarthy of Ballyellis, Mallow Co Cork. His family owned Leonard’s Bar in Ballyhooly (now Grindels). He had moved to London by 1901, and he married his first wife, Mary J Ward (Máire Nic a Báird), in Fulham in 1911. She died in 1934. He married May Comerford in 1939. He died on 25 December 1959. They had no children, and May later lived at 5 Ashdale Park, Terenure, with her half-brother Patrick and half-sister Margaret. She died on 24 September 1973 and is buried in Dean’s Grange Cemetery, Dublin. Anne (Cullen) Comerford died at the age of 32 on 16 November 1903 at 11 Upper Beechwood Avenue. Stephen Comerford married secondly, on 7 February 1905, in Saint Patrick’s Church, Donabate, Bridget Lynders (born 18 April 1875, died 25 March 1948), daughter of Patrick and Margaret (McMahon) Lynders of The Quay House, Portrane, Co Dublin. 6, Margaret (1912-1995), born at 2 Old Mountpleasant on 22 April 1912. 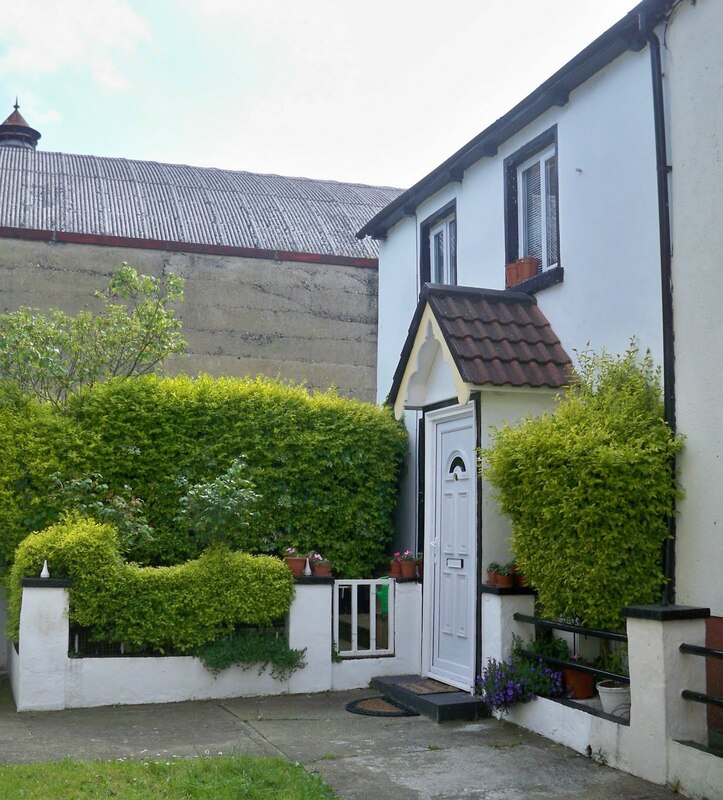 She lived at 5 Ashdale Park, Terenure, Dublin 6W. She died unmarried on 14 February 1995 and is buried with her half-sister Mary in Dean’s GrangeCemetery. My grandfather, Stephen Comerford, died in hospital on 21 January 1921. He was buried in Saint Catherine’s Churchyard, the old Church of Ireland churchyard in Portrane, close to other members of the Lynders family. His gravestone incorrectly gives his age at death as 49. 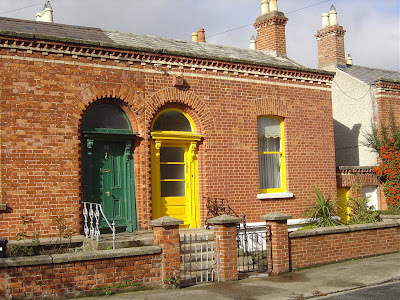 Stephen Comerford’s widow, Bridget (Lynders) Comerford, continued to live at 7 Swanville Place until ca 1935. 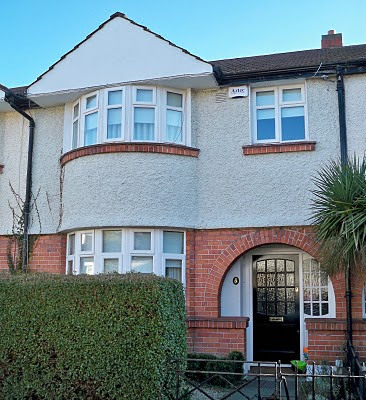 She then moved to 5 Ashdale Park, Terenure, and in the 1940s worked as private secretary to William Norton (1900-1963), leader of the Irish Labour Party (1932-1960) and secretary of the Post Office Workers’ Union (1924-1948). She died at her home in Terenure on 25 March 1948, seven weeks after Norton became Tanaiste in the first Inter-Party Government. She was buried with her husband in Saint Catherine’s Churchyard, Portrane. © Patrick Comerford, 2009, 2010, 2011, 2013, 2016. Last updated 23 October 2009, 16 March 2010, 24 May 2010, 4 September 2010; 27 April 2011; 2 May 2011; 16 April 2013; 24 July 2013; 25 April 2016. Have just stumbled across this. 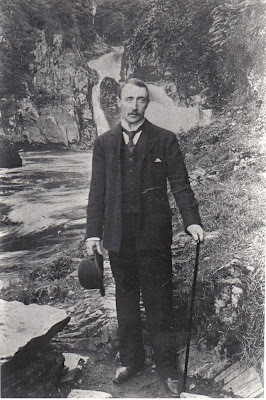 Sean O'Lionainn was actually born John Leonard in 1876, son of Michael Leonard and Mary Anne McCarthy.